From 1919 to 1945, fascist leader Benito Mussolini transformed Italy from a democracy into a totalitarian dictatorship by using state police to violently suppress all undesirables elements, including gay men. 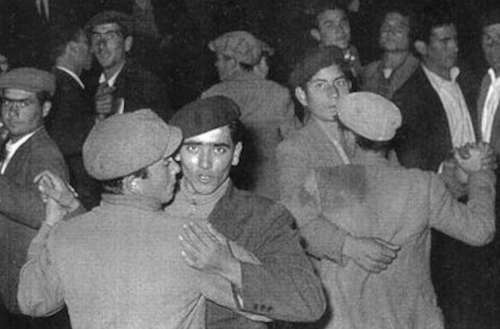 Towards this end, in 1938, the mayor of Catania, Sicily decided to stop the “spreading of degeneration” by rounding up gay men and shipping them off to San Domino, an island nearly 500 miles away. The island has since become known as Mussolini’s gay island. Although homosexuality wasn’t actually illegal during the time of Mussolini’s rule, it was seen as a mental disorder contradicting fascist Italy’s ideal of the “New man,” a virile man who embodied strict military behavior. As such, fascist government leaders sought to identify and suppress gay men through spies in gay hangouts and a form of forced residence known as confino (or confinement). So, that same year, the mayor and local police rounded up 45 gay local men and deported them to San Domino, an island in the Adriatic Sea’s Isole Tremiti archipelago, two hours by ferry from Italy’s south-central coast. Though the island is currently a vacationer’s paradise, it wasn’t so nice back then. There are no known gay survivors of the San Domino confinement, but historical researchers say gay men arrived there in handcuffs and were placed in dormitories with no running water or electricity. The men wrote letters regretting the shame their arrests had brought upon their families, and there was also a mandatory 8 p.m. curfew after which the men were locked into their dorms. Though Mussolini used other Italian islands to confine his political prisoners, San Domino remained Mussolini’s gay island reserved exclusively for gay men. 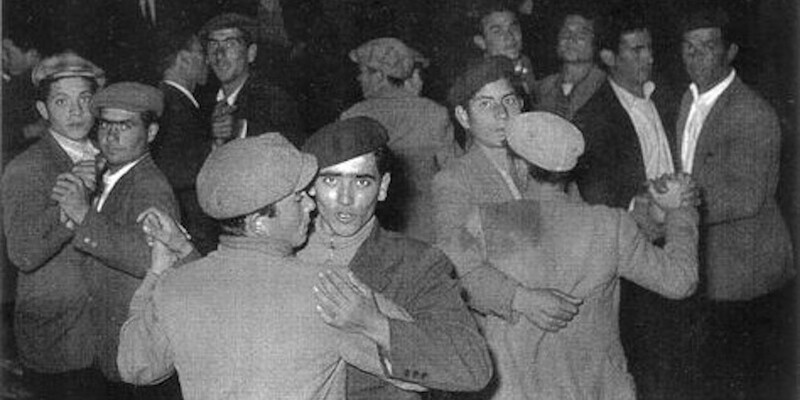 Despite its harsh living conditions, in some ways gay men could live more openly on Mussolini’s gay island than they could in their own hometowns. Island confinement on San Domino ended in 1939 when World War II broke out. Giuseppe B said some of the island residents cried, knowing that they’d be separated from their newfound friends and lovers only to face house arrest upon returning home. Mussolini’s gay island is the subject of the 2008 graphic novel In Italia Sono Tutti Maschi (In Italy Everyone Is Manly) and the 2018 musical San Domino, written by Tim Anfilogoff and Alan Whittaker. Italian LGBTQ activists have also since installed a memorial plaque on the island, to raise awareness about this oft-forgotten part of LGBTQ history. 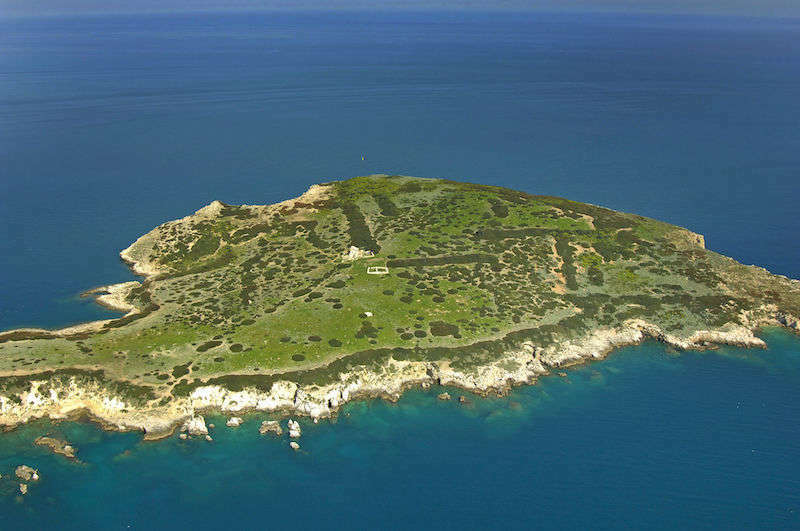 What do you think of San Domino, Mussolini’s gay island?